Worldwide pet shipping - International pet travel. Goldenway has the specialised knowledge and experience to help clients export pets and animals anywhere in the world, eliminating the stress of trying to understand and comply with other countries’ regulations and requirements associated with animal importation. We will take care of all the arrangements, or some of them, according to your needs, including the essential paperwork. Application for an import permit: We will work together with agents to obtain any permit required for importing pets into the country involved. Quarantine arrangements: If quarantine is stipulated prior to arrival, we can provide this at our own government approved facilities in Northern France. Alternatively, if quarantine is required on arrival in the destination, we can arrange local reservations as appropriate. Completion of health certificates: We will prepare and complete all the necessary documents. We will also arrange all the veterinary visits, examinations, tests and treatments that are required before exporting your pet, including French Ministry veterinary endorsements before the flight. Modified IATA approved flight kennels: We can supply flight-ready kennels (plastic or wooden) appropriate for long distance flights, ensuring your pet’s comfort and safety during its journey. 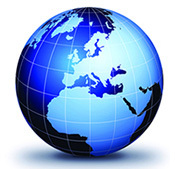 For more information about our export services to worldwide destinations, please contact us.